Anyone who knows me, know that I can’t actually live without my converse. They are part of my DNA and I’ve been wearing them for about 16 years. I have exactly 4 pairs of converse, dirty old white boots, black boots, white and pink ox’. I had to throw out 3 pairs of seriously gross no-longer white converse boots a few weeks ago and that devastated me. I’ve seen a lot of mums wear the most uncomfortable shoes going whilst pregnant and I just don’t get it, but I suppose if the shoe fits, then what do I know? If I could live every second in my Uggs I would. Technically my birthday present from Sam a whole 2 months early, I’ve worn these on every given occasion possible. They’re like putting your feet into clouds of cushioned love. My feet are kept toasty and I don’t feel like my feet are about to fall off. Unfortunately with the weather changing so drastically in Planet Thanet, if it rains these are the worst shoes to wear outside but honestly if I could sleep in these, I most definitely would. 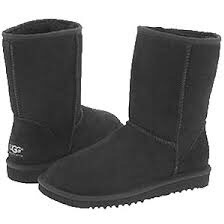 For the past few weeks whilst my legs get used to carrying this extra weight, whatever the weather, I’ve been living in my Uggs. They’re like wearing clouds, they’re my little snugglepuffs and my feet are so snuggly in them, they’re just perfect. 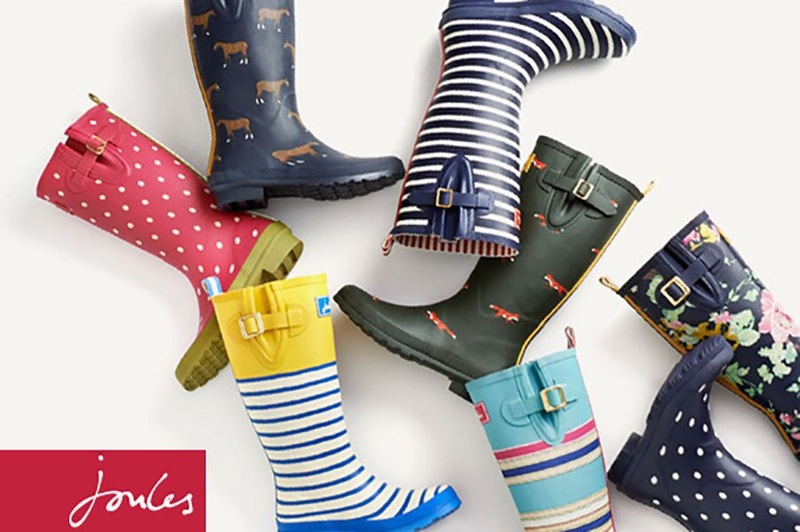 My Joules wellies are great when the rain comes out to play – more often to catch you out rather than be predicted by the weatherman. They’re comfy, trendy and adjustable should my legs and feet decide to double in size in the next few weeks. The welly collection come in a variety of different styles and designs for both children and adults and perfect for adding a bit of colour to your wardrobe. I’ve still got a few more weeks of work (part time) until I go on my maternity leave. Whilst I work I need to wear comfortable and supportive black or dark blue shoes. Whilst most of my colleagues wear smart dolly shoes, I’m all for my £10 canvas navy shoes from Primark. They’re comfy for work, affordable and I don’t mind them getting dirty. 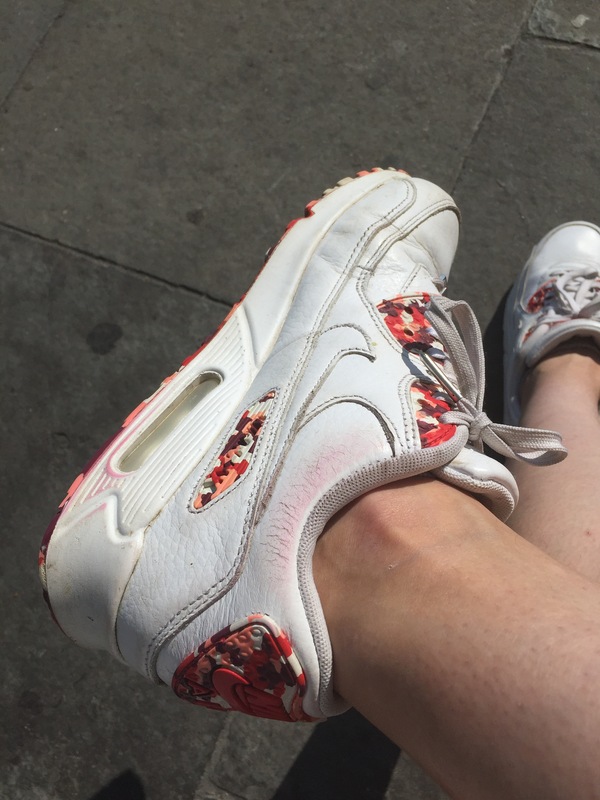 My Eton Mess Nike Air Max trainers are a godsend for my feet. These trainers are light, stylish and super comfy. Thankfully my feet haven’t swelled up at all during my pregnancy but these feel like walking on air – literally. Only downer is I’m an inch taller than norm and am practically the same height as Sam when I wear them, so usually wear them when I’m not around him. You’ll notice as time goes on what you can wear on your feet and what you can’t. The later stages in your pregnancy, your feet will start to ache way more than usual, this is due to all the pressure your poor tootsies have to put up with carrying the extra weight. You’ll have aches and pain in your back, hips, legs and feet, so looking after them is really important to make sure you don’t cause yourself any damage. A good shoe can help alleviate the pressure and pain that come after spending your day on your feet, this is why your midwife will tell you often to rest. Apart from avoiding heels (yes, some women are mad enough to continue to wear heels in the later stages of pregnancy), there is officially no shoes that are the perfect maternity shoe. Some women think wearing Birkenstocks throughout pregnancy is perfect to the happy healthy foot, whilst others wear trainers or dolly shoes feeling that those are the best for their feet. Thing is, it’s what makes you comfy. As long as your shoes are comfy, that’s the main thing.